These are real pieces of gold and silver. 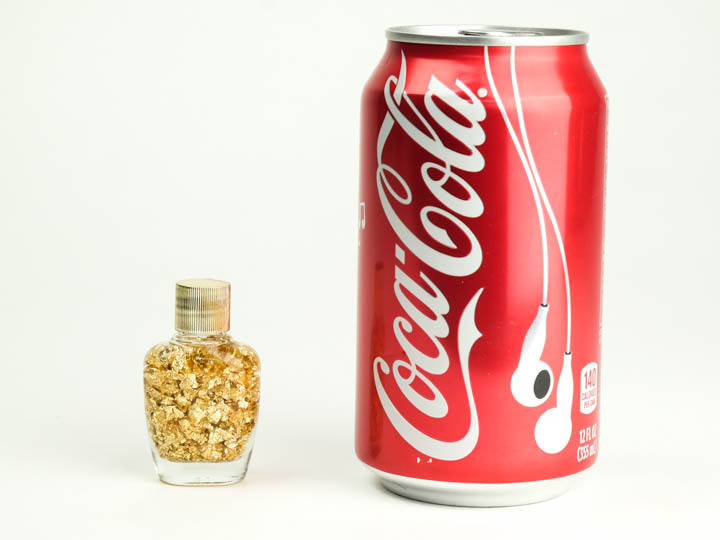 The bottles of gold are 1.75" (4.4 cm) high. 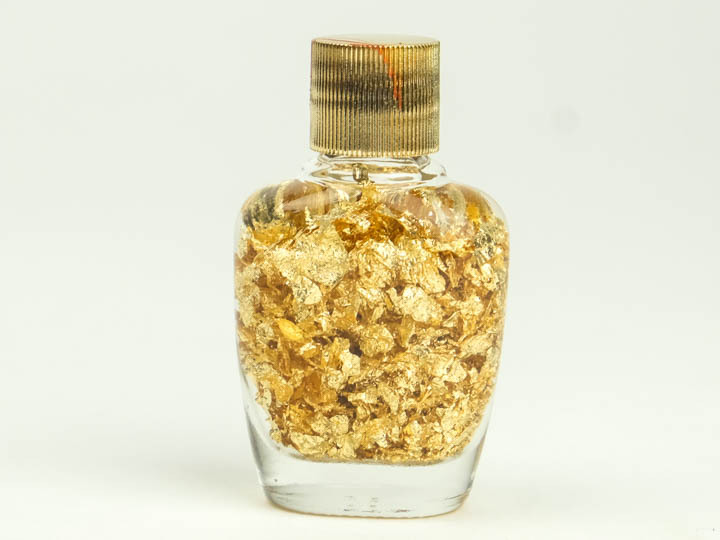 These bottles contain real gold that has been turned to flake using an "Italian Process." The gold is real, but in extremely thin flakes. The bottles of gold do not come with a tag. 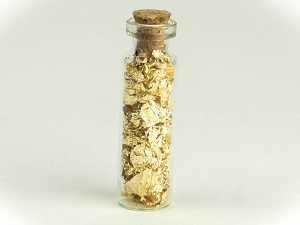 The vials are 1.5" tall by 0.25" wide. It weighs about 0.1 oz (3 grams). 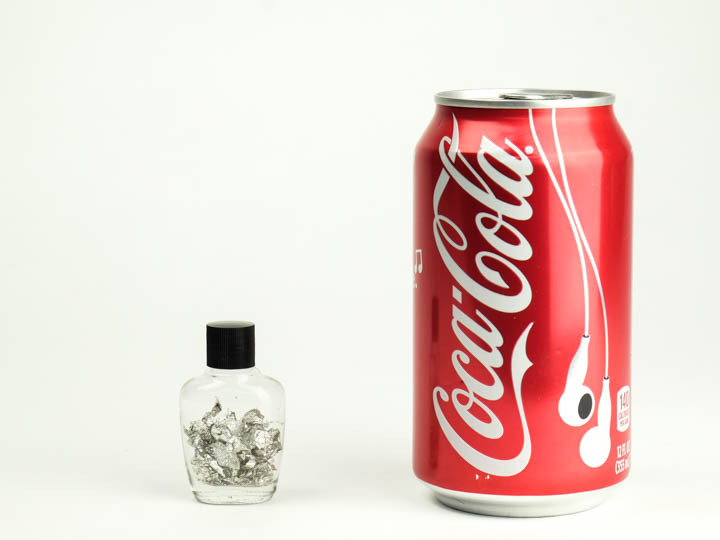 The bottles of silver are 1.75" (4.4 cm) high. 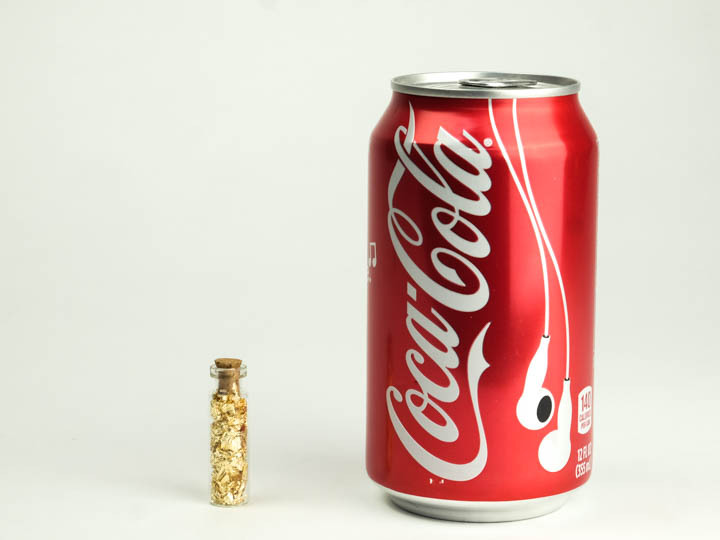 These bottles contain real silver that has been turned to flake using an "Italian Process." 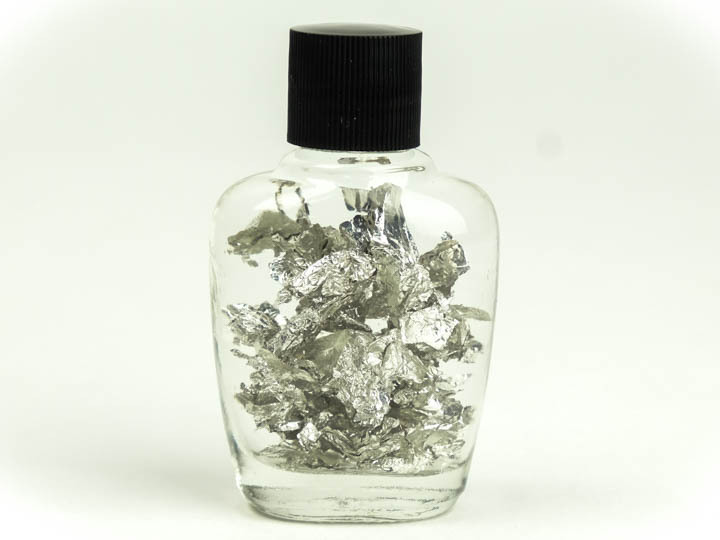 The silver is real, but in extremely thin flakes. Warning choking hazard! Not for children 6 and under. Do not consume. A gift of Remaining Value.